Then again, a ticket to PIH City gives me a chance to really put “brightening” products to the test. So when my experiments with a 20% mandelic acid serum convinced a clog in my forehead to purge out spectacularly, I tore my beauty closet apart looking for something new to throw at the thing. 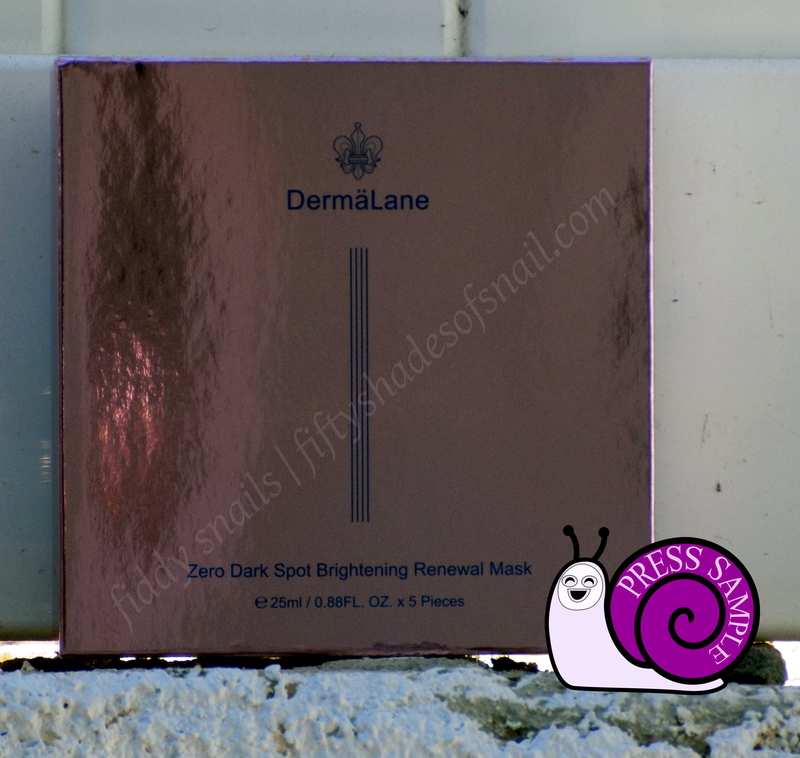 I came up with a box of Naruko DermaLane Zero Dark Spot Brightening Renewal sheet masks, which the brand sent me to try a while back. The product reviewed in this post was provided by Naruko Boutique USA. Affiliate links are marked with an asterisk(*). I struggle a lot with photographing reflective packaging. Clearly, the solution is for brands to stop using reflective packaging. Purpose: Naruko DermaLane Zero Dark Spot Brightening Renewal Mask is a sheet mask that claims to brighten skin tone and lighten dark spots caused by hyperpigmentation. Do not use if: You are sensitive to niacinamide, tranexamic acid, dimethicone, alcohol even in trace amounts, or anything else in the ingredients list. When and how to use: Use after cleansing and toning at the desired stage of your skincare routine. Remove mask from packet and unfold. This mask has two protective backings: white plastic “pearl paper” on one side and a thinner blue paper backing on the other. The blue side is not part of the actual mask. It is only there to give structure to the mask during application. You’re supposed to take it off when you put the mask on. Don’t do what I did. It can be confusing if you haven’t encountered this type of mask before. Wear for 15-20 minutes as directed on the packaging or for longer if desired. Remove and follow with the rest of your skincare routine. Notable ingredients: DermaLane is one of Naruko’s premium lines, with a focus on tightly targeted treatments featuring serious ingredients in presumably powerful concentrations. These masks seem to fit that approach. Thinking back on all the literal hundreds of sheet mask labels I’ve squinted at over the last couple of years, I don’t think I’ve ever encountered one that placed not one, but two active ingredients before any humectants or penetration enhancers in its ingredients list. 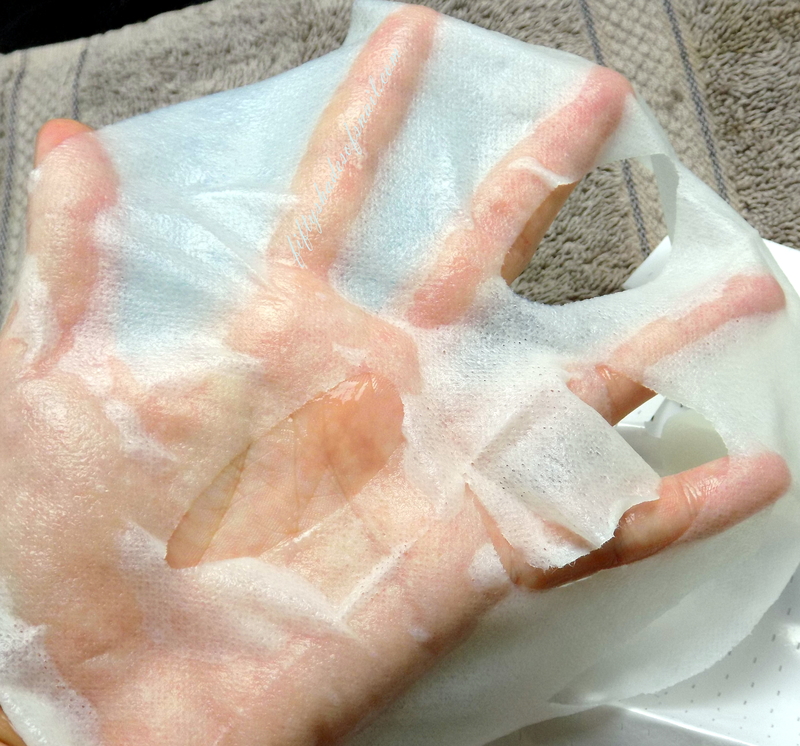 Generally, a sheet mask’s ingredients list starts like this: “Water, glycerin, butylene glycol” or sometimes “Water, butylene glycol, glycerin.” The Zero Dark Spot masks jump straight from water to the good stuff. And though that doesn’t promise an effective concentration of any of the ingredients, it is a good start if you’re prioritizing brightening. The benefits of niacinamide are (deservedly) well known by now, the ingredient used widely in both Asian and Western beauty products. Tranexamic acid, not so much. Originally used to reduce bleeding during surgeries, tranexamic acid has also shown promise for reducing melasma when taken orally. Its use as a topical cosmetic quasi-drug was established by Shiseido, and as far as I’ve seen, it appears primarily in Japanese and Taiwanese cosmetics rather than Korean ones. This is Robin Niu, aka Niuer, the face and founder of Naruko. He is Taiwanese. 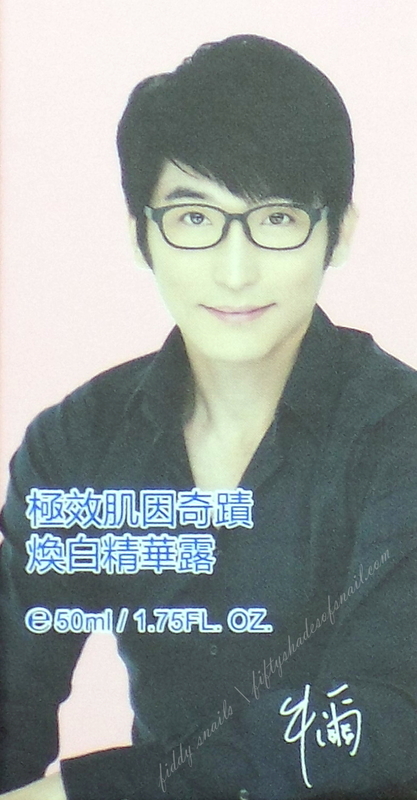 His face appears on many Naruko products. You are welcome. I don’t have many feelings about tranexamic acid yet. I’ve used a few products that contain the ingredient without seeing obsession-worthy results, and the evidence for its effectiveness as a topical lightening ingredient is much weaker than the support for, say, niacinamide. Still, results vary a lot between different products using the same main ingredients, so I’m keeping an open mind. I don’t see any reason to avoid tranexamic acid either, though, so on we go! Naruko’s Zero Dark Spot Brightening Renewal Masks are made of a material I haven’t encountered elsewhere. 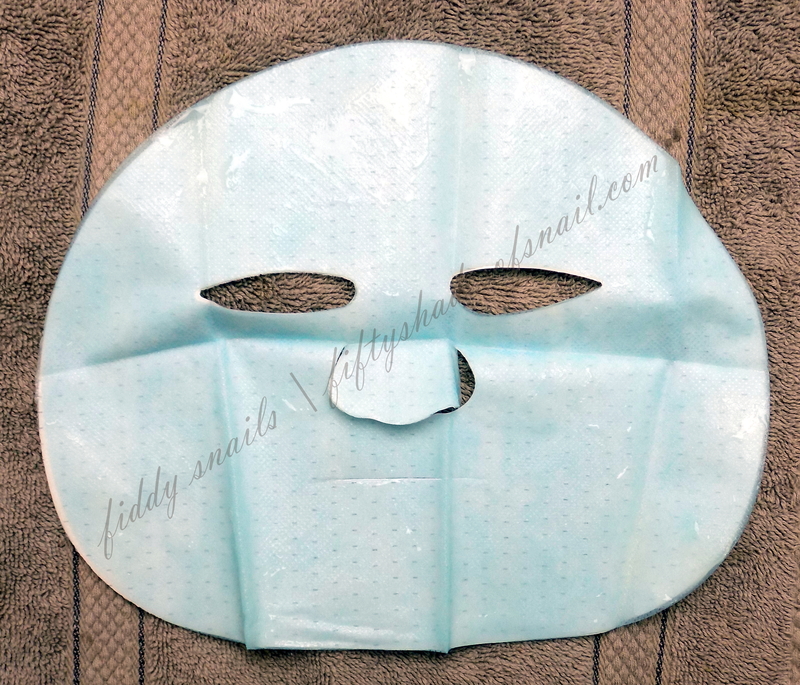 Though thinner than standard mask sheets, it’s a few hairs thicker than the “silk” masks that T-beauty brands like My Beauty Diary, My Scheming, and Lovemore use, making it sturdier and less prone to stretching or tearing. Super-thin mask sheets like these aren’t my favorite. They’re just so fussy to put on, prone to folding in on themselves and nearly impossible to get straightened out when they do. They also often hold less essence and dry out faster than thicker sheets. Still, their lightness and second-skin fit are pretty great when paired with a well formulated essence. The liquid soaked generously into the Zero Dark Spot Brightening Renewal Masks is thick and serum-like. I didn’t notice any drips, something that those of you who dislike torrentially runny sheet masks should appreciate. The essence stays right where it’s supposed to be: in the mask sheet on my face. It also smells just the way I think it should: like nothing in particular. These masks stay moist for about 30-35 minutes for me, though I can stretch their wear time out to about 40 minutes by pregaming with an extra layer of mask essence applied before I put on the mask. The material can get a bit itchy as it dries, though for me, that only happens when it’s time to take the mask off anyway. The immediate results of the Zero Dark Spot masks are above average though not spectacular. Right after taking them off, my skin always looks noticeably calmer, brighter, and more even-toned; the masks also deliver some extra hydration. Where the Zero Dark Spot Brightening Renewal Masks really excel is in their progressive effects over a longer period. As I mentioned at the beginning of this post, pretty much any breakout I get comes with a free ticket to PIH City, and though my spots do fade eventually, the fading usually takes at least a few weeks, sometimes even longer. What can I say? My skin will take any excuse to overproduce melanin. Luckily for me, the Zero Dark Spot products seem formulated specifically for skin like mine. I used up the box of five Zero Dark Spot masks over about two weeks, going one or two days in between each use without changing any of the other brightening actives in my routine or using any unfamiliar sunscreen products. Each time I used one of these masks, I found that the brightening and spot-fading effects appeared more noticeable the next morning. Even better, by the end of the two weeks, the spot on my forehead had gone from an angry red spot requiring several layers of BB cream to conceal, to a tiny little dot easily obscured with a single layer of sheer makeup. I also noticed the edges of the obnoxiously persistent sunspots on my cheekbones softening up over the two weeks I spent with this box of masks. Conclusion: I wouldn’t rely on these masks as my only or my primary brightening product. There are stronger ingredients out there to do the heavy lifting as well as products with disclosed percentages of their niacinamide and other actives. I also wouldn’t turn to these masks for their instant effects. (Naruko’s Narcissus Repairing Mask would be a better choice for that!) Instead, I’d use them in case of hyperpigmentation emergency as a supplement to my regular brightening-focused routine. With consistent use, I saw a really impressive acceleration in spot fading. I’ve used other flavors of mask continuously over similar lengths of time without getting the progressive improvement that the Zero Dark Spot masks delivered, which makes me think that the serious-sounding ingredients front-loaded in their ingredients list are doing their job. Where can I buy Naruko DermaLane Zero Dark Spot Brightening Renewal Masks? I received my box of Zero Dark Spot masks from Naruko Boutique USA*, where a box of 5 masks is currently $34.99*. Do you have any “serious,” targeted sheet masks that you use for effects more substantial than a quick boost? Would you mind revealing which 20% mandelic acid serum caused your clogs to purge? Love your review as always! OMG! Will you also eventually be reviewing the Naruko AMPM Mandelic Acid Skin Renewal Brightening Toner? I’m on a quest for a Mandelic acid toner for everyday use. Maybe! I’m going by line a little bit so after I’m done with the Dermalane stuff, I have a couple from the Jingcheng line and then I do want to try some AMPM things! (They loaded me up a bit) I’ll keep you posted! Another recommendation from – in my shopping bag it goes. I’ve been wanting to try something from Naruko, but unsure what. A sheet mask is always a safe choice in my book, and anything that can even slightly help healing dark spots from acne is my friend. Going to also place an order on that Ms. Mr. Honey cream you mentioned on IG! ps. I love how the PR snail has a sheet mask!!! I’m enjoying all these recent Naruko reviews! Nice to see T-beauty get that love. I bought a couple of items from the Naruko brand due to the hype and my love for Niacinamide. Unfortunately, I’m incredibly allergic to their items and I’ve no idea what’s causing me to rash out in itchy hives all over. 😦 It doesn’t really seem like anyone else is having this issue (so far from my observations online) so I’m pretty deflated to be missing out on all the nice actives that their products have..
Oh man, I’m sorry that happened to you! 😦 Which products did you get? No idea which ingredient(s) might have caused the reaction?